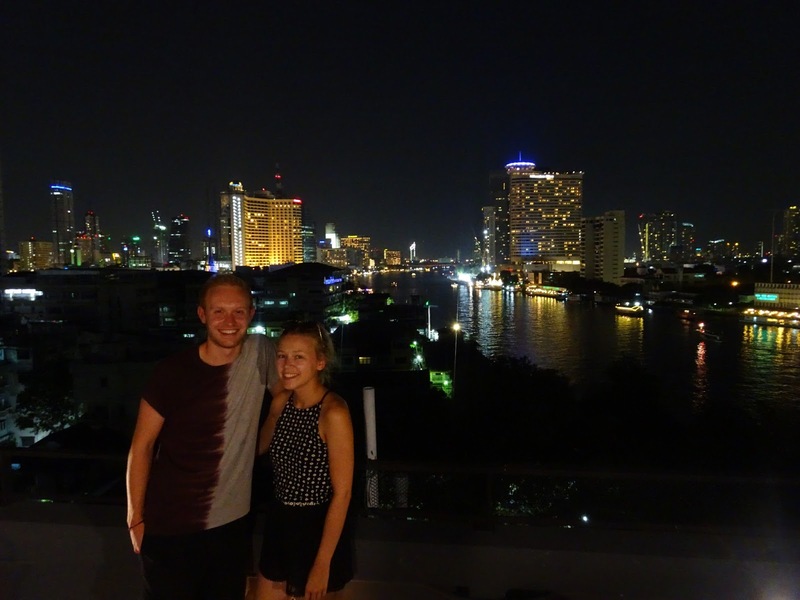 It also meant that we didn’t have to search for accommodation, and we stayed in a four-person dorm room in Loftel 22, which was one of the best hostels on our trip, second only to SLA in Phnom Penh. 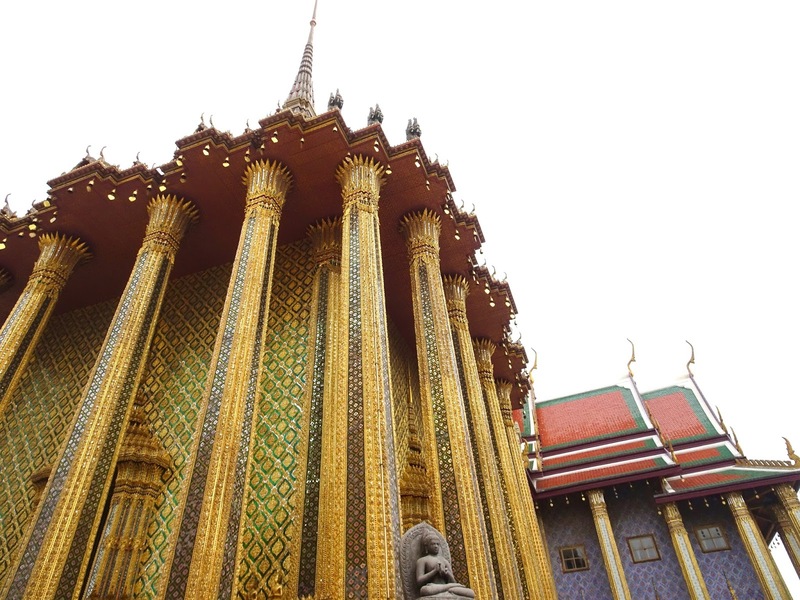 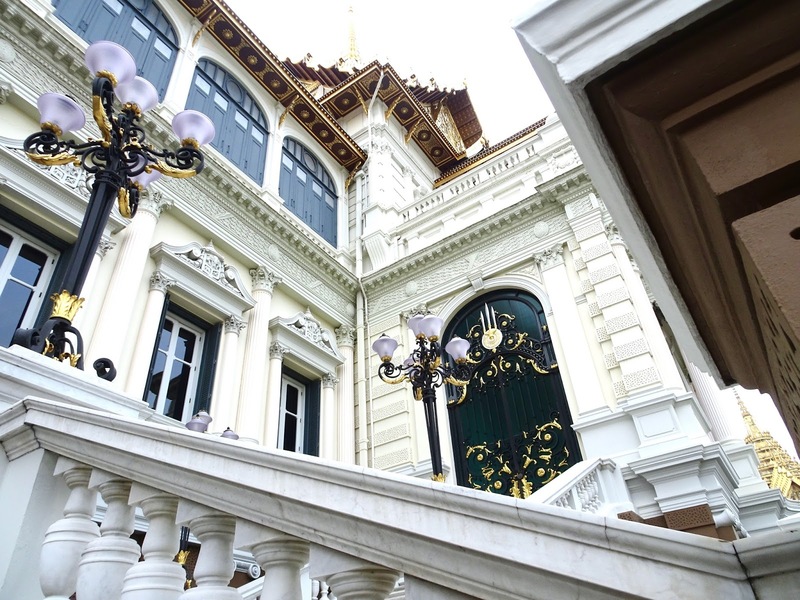 The first place Sam and Vicky recommended, and arguably the top attraction in Bangkok, was The Grand Palace. 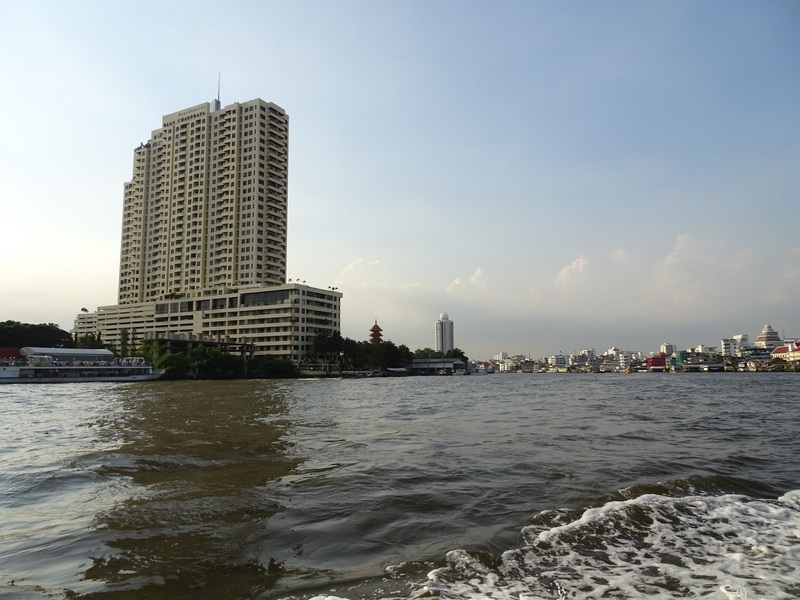 In addition to Bangkok’s MRT, and of course the infamous tuk tuks, a popular and easy way to get from one part of the city to another is by the boat network, which operates like a bus service on the water. 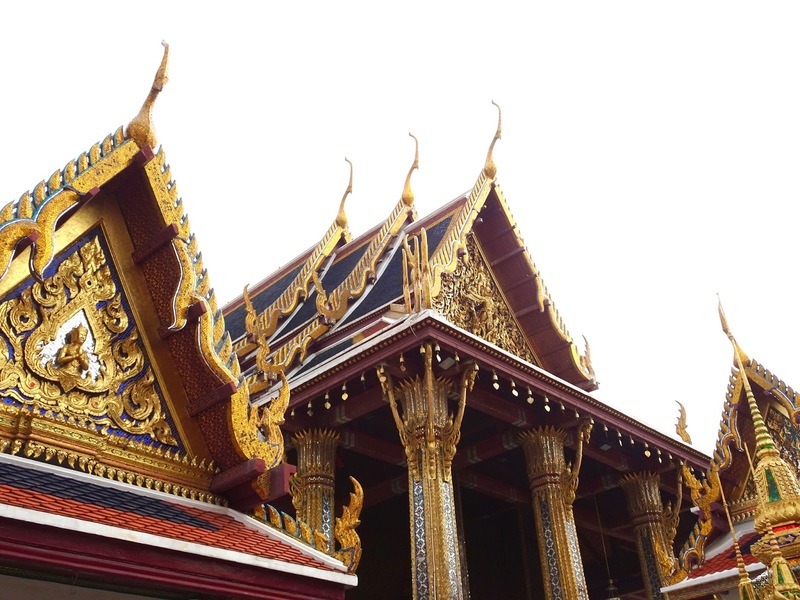 After a crowded boat journey to The Grand Palace, we spent an equally crowded hour or so wondering around the impressive structures that make up this collection of buildings. 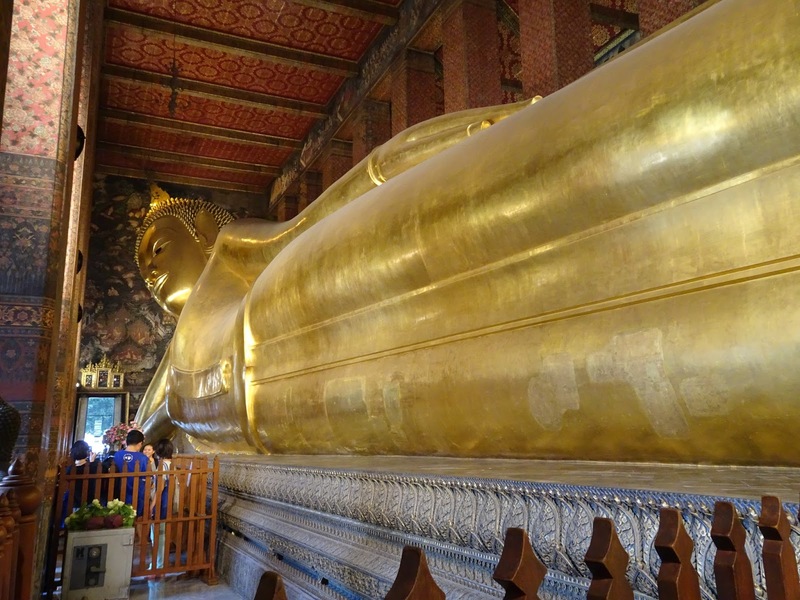 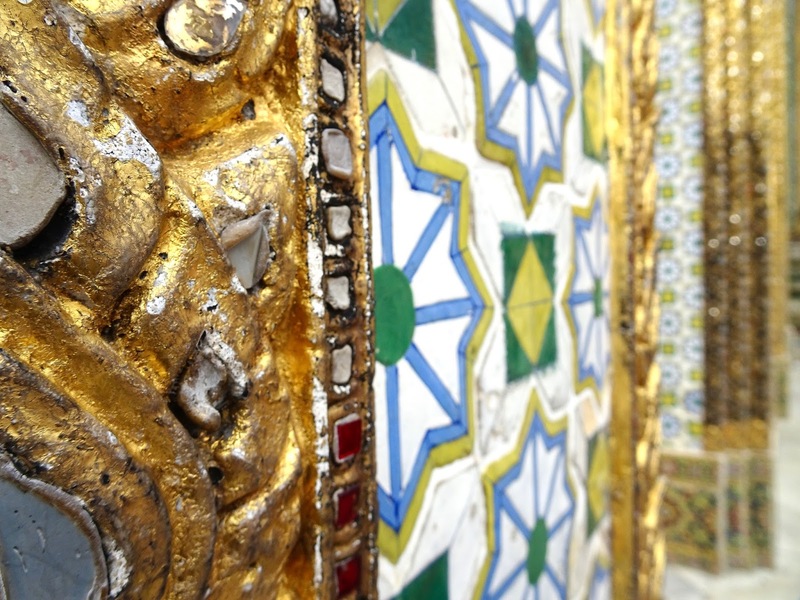 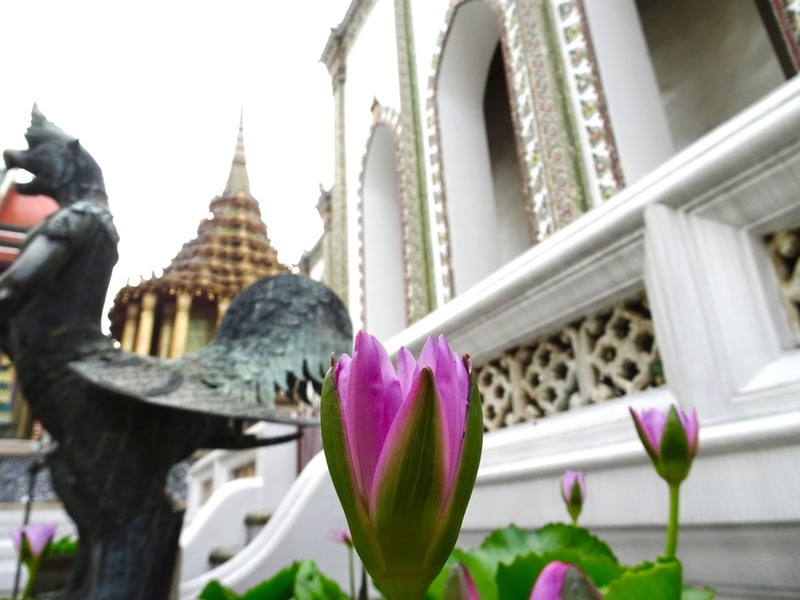 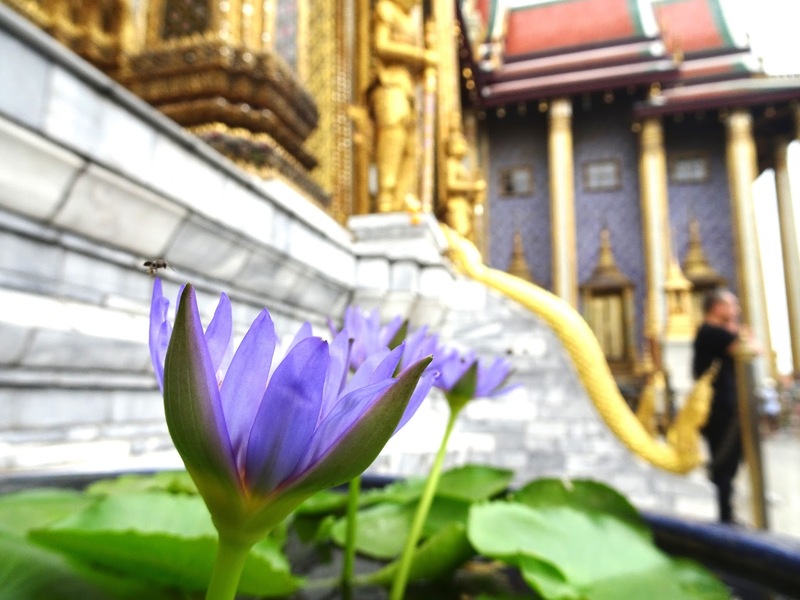 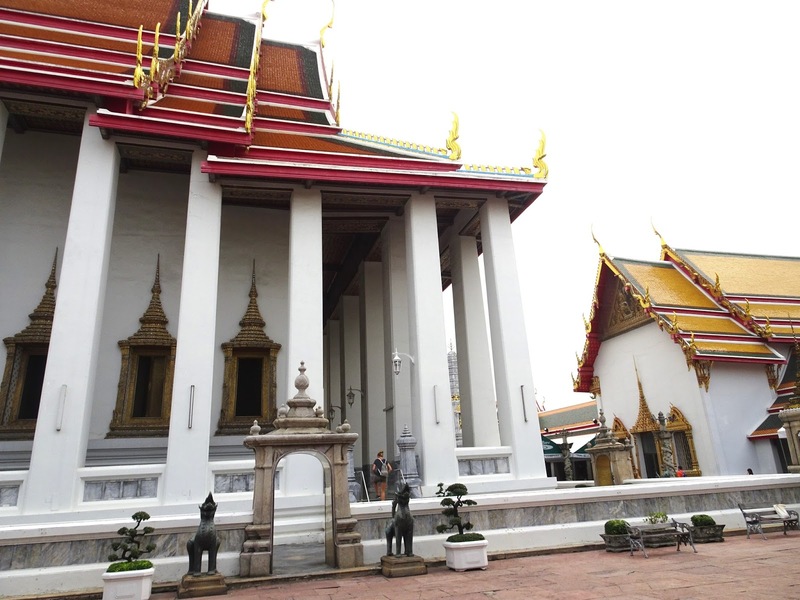 Nearby is Wat Pho, the temple that is home to the iconic 46-metre-long reclining Buddha. 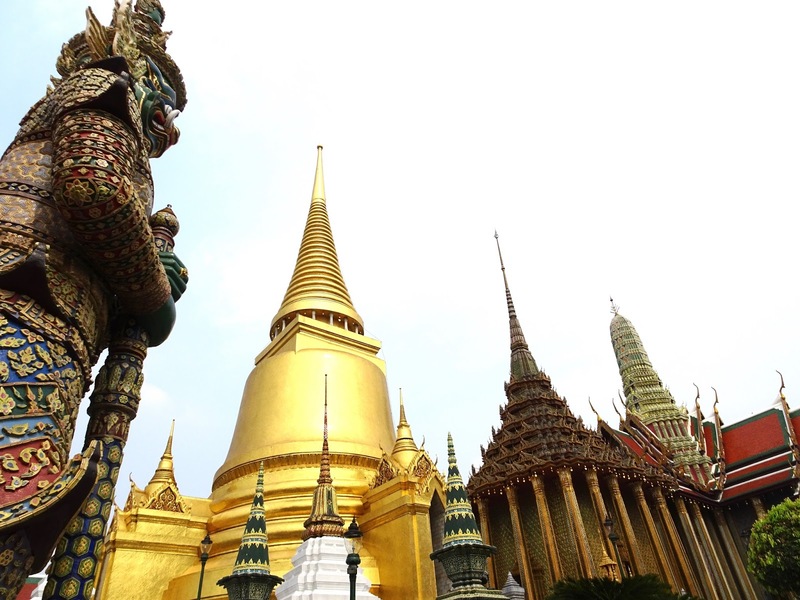 In the afternoon we climbed the hill to Wat Saket, also known as the Golden Mount, which has an amazing view over the city. 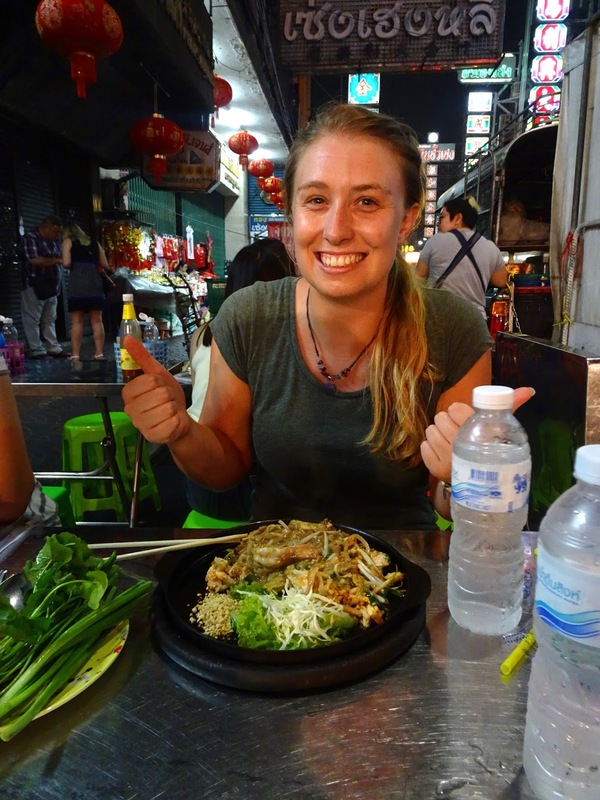 We couldn’t visit Bangkok without eating street food in China Town or visiting Patpong Night Market, so these two unmissable activities concluded our first day. 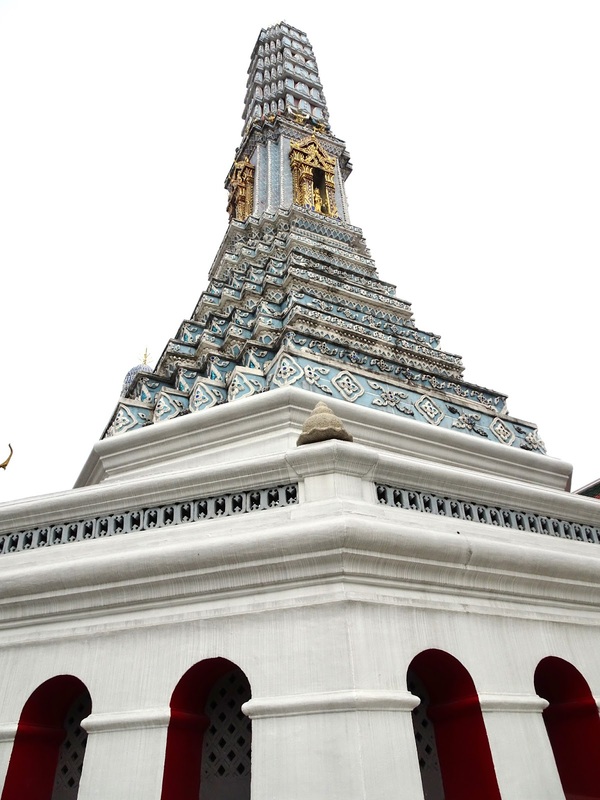 When in Thailand it is also apparently essential to have a massage. 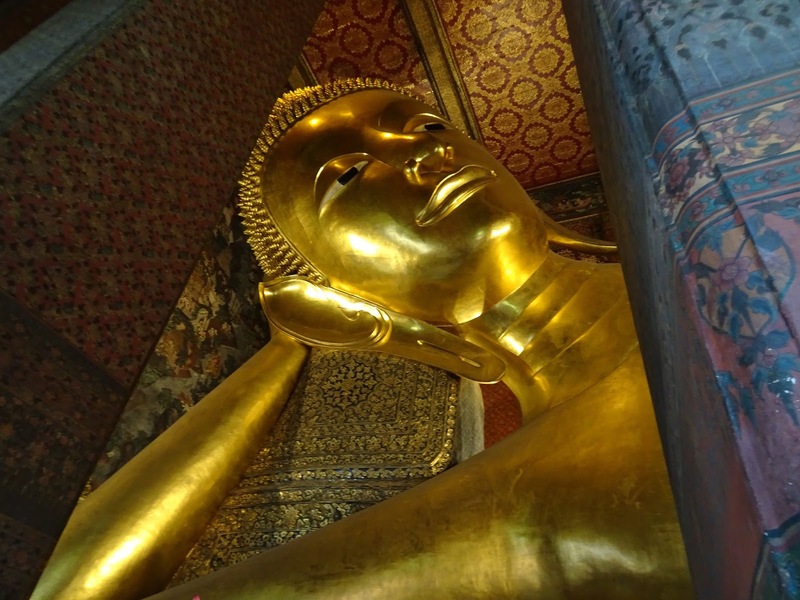 I’d somehow made it through life thus far without ever having had a massage of any kind, so I was pretty apprehensive about spending a large portion of our final day of the two-month trip undergoing this new experience. 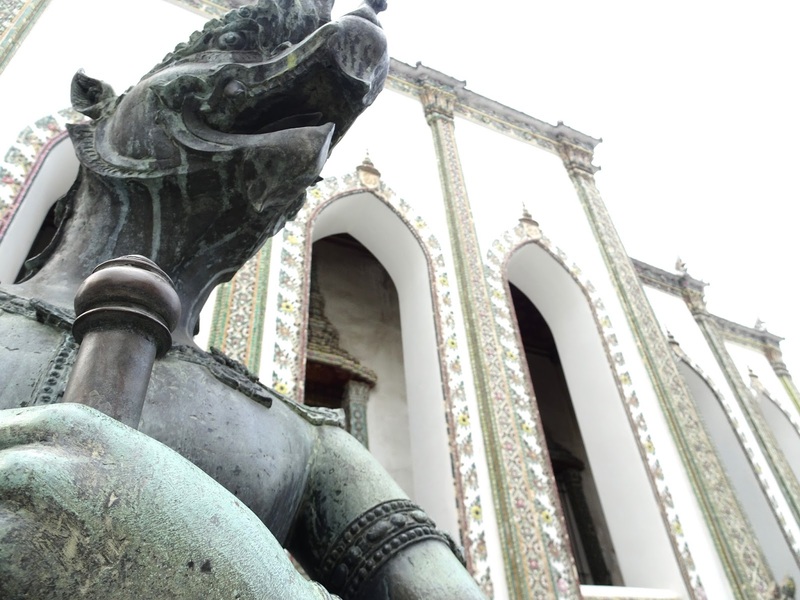 Especially since Thai massages are notoriously aggressive. 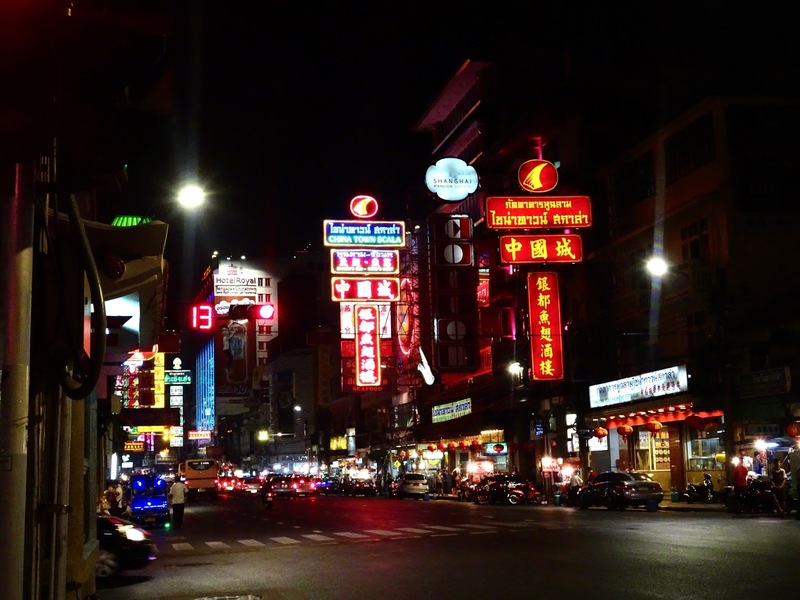 Although there were definitely a lot of painful moments, I came out of my first massage experience feeling surprisingly relaxed, and only a little traumatised. 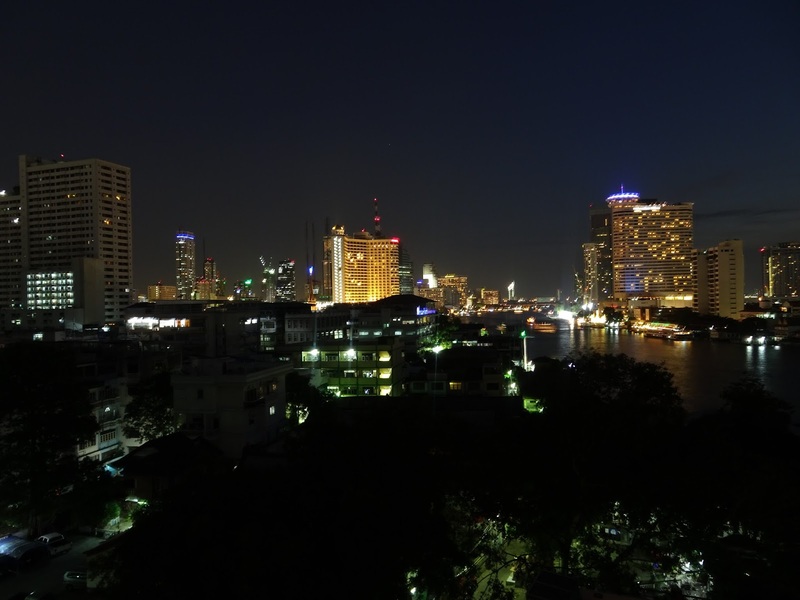 We ended the trip with an amazing Thai Green Curry, followed by some farewell drinks in a small rooftop bar with stunning views over a twinkling night-time Bangkok. 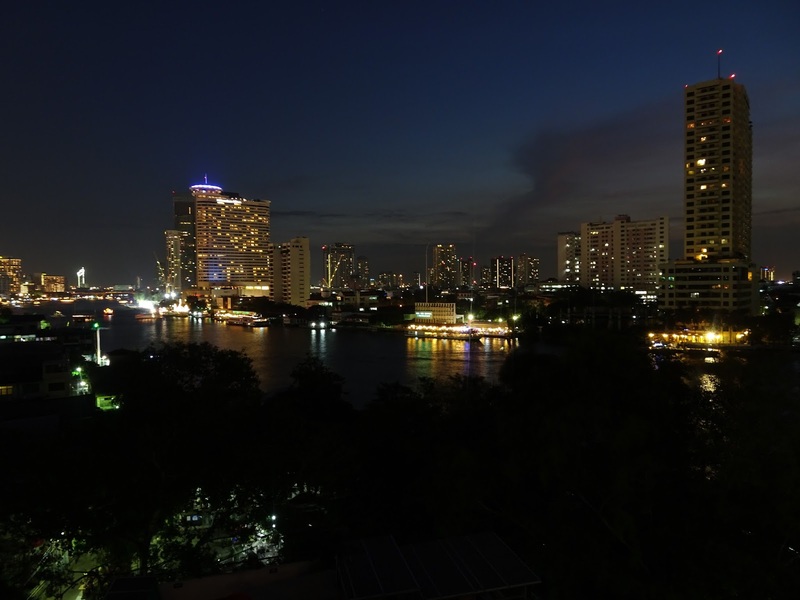 I also vlogged our stay, which gives an even better impression of Bangkok, so head over to my YouTube channel to give that a watch and catch up on any other videos from the trip!